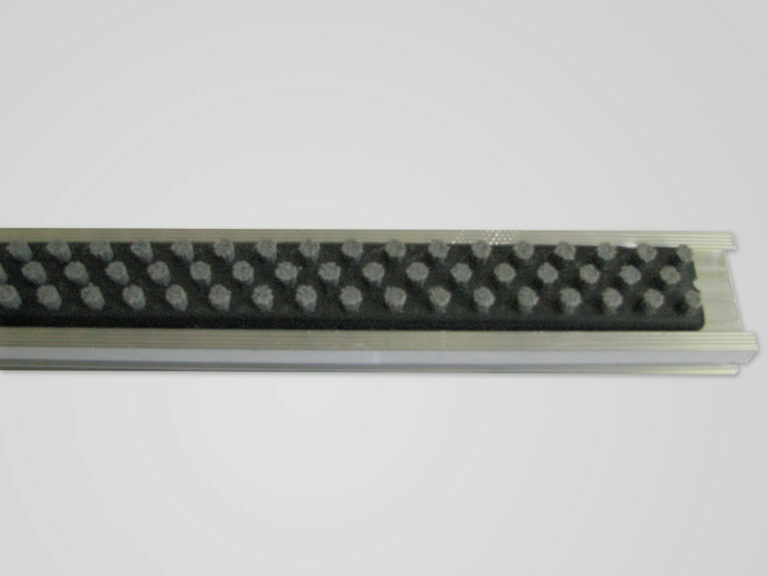 Insets fit into standard aluminum profiles existing in commerce, which are the basis for the construction of entrance mats. The operative portion of the brush is made of polyamide in species of PA6.6 (nylon) 0.4 mm in the form of tufts of 5.5 mm and a diameter of 4 mm. The fiber of this class ensures long service life of the brush, without losing traits. Basic colors of fibers in the working parts are: black, dark gray and brown . II. On request, we also supply ready-made entrance mats made of aluminum profiles and insets of doormats like above, dimensions are negotiable. 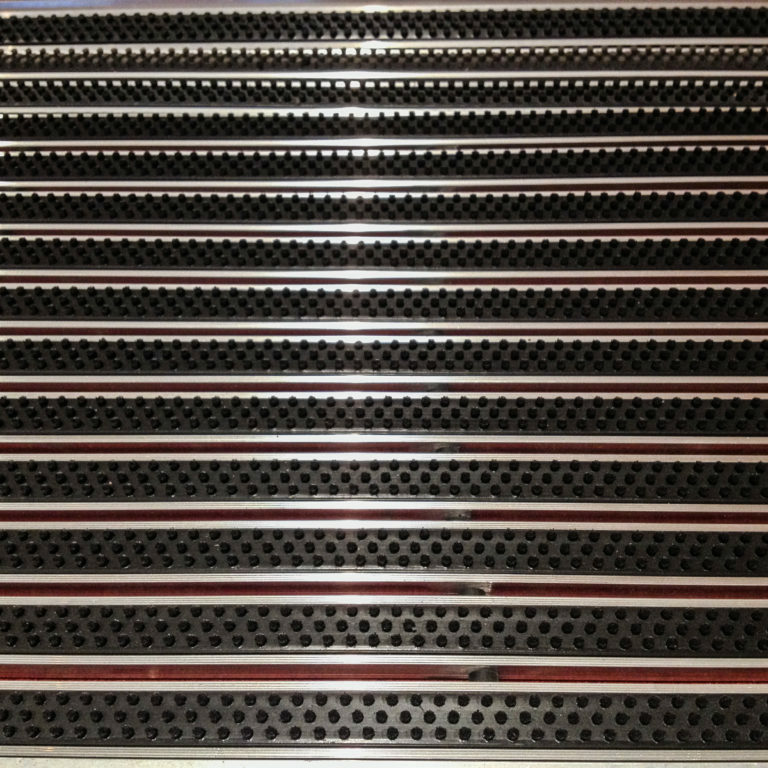 The entrance mats are equipped with a overrun profile facilitates safe use. We guarantee a minimum 2-year life of the doormat in such a solution. Doormat is fully waterproof and freezing-resistant.